Chicken Pasta Recipe: Hi Folks, here we come back with a new recipe in our Kitchen Recipes Book i.e, Chicken Pasta Recipe. This recipe is a quick meal and it doesn't take much time. It is a healthy recipe and all veggies, protein, and grain all together in one dish making without much effort. the combination of Chicken Pasta with hot soup and some bread toast is awesome. 2-3 tsp of olive oil. 200 grams of chicken(fresh desired meat). 350 grams of tomatoes ripe red. 1 tsp of red chili flakes. 2-3 pinches of allspice powder. First, Take a full watered pot and heat it, then add salt and oil. Add pasta and cook all the instructions as mentioned in the cover pack. Set aside and pasta cooked water. Saute garlic in a hot oil and chicken, then add salt as needed. Add all the spice powders.saute on a high flame for 2-3 minutes. kept chicken aside. Add additional oil and saute some garlic. then add chopped onions. Saute the onions until they turn into light golden color. Add pureed tomatoes and cook well it gets thickens. Add sauteed chicken and 2-3 tsp of pasta cooked water. Mix and stir until the sauce reaches a thick consistency. Add pasta and cook for just 2-3 minutes. Finally, hot chicken pasta is ready to serve. 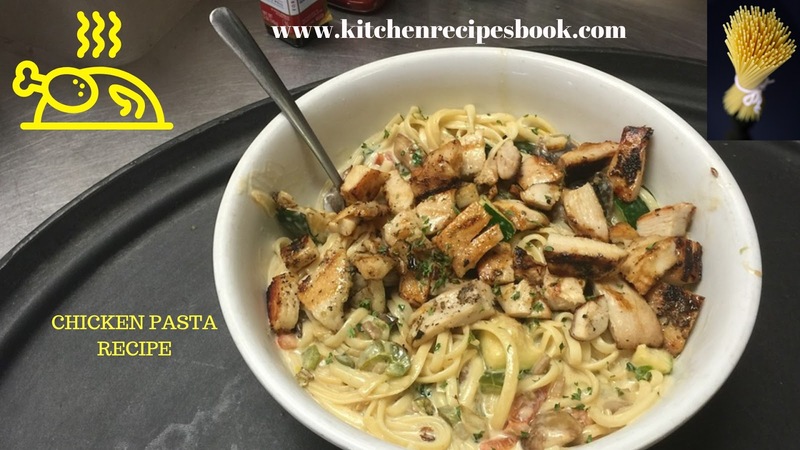 This Kitchen Recipes Book website is always working for foodies. Stay updated with new recipes. If you want any different kind of recipe please ping us via the comment section. These all recipes are homemade recipes. Try this recipe at home and keep your health is in very good condition. Folks, the above-mentioned recipe is Chicken Pasta. 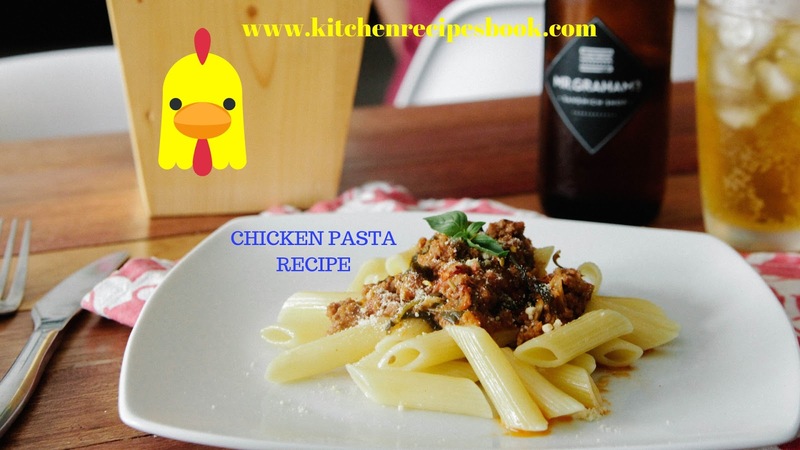 Try this recipe at home and in this recipe the nutrition values are very good and vitamin 'C' and potassium is very efficient in chicken pasta. If you have any other recipes then share with us via the comment section. Stay updated with new recipes.